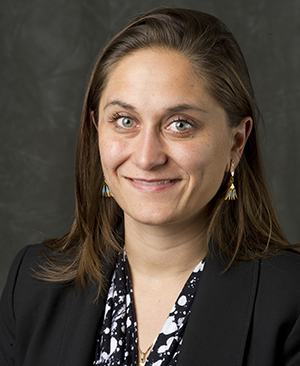 With the support of two major awards, Jaimie Bleck, Ford Family Assistant Professor of Political Science at Notre Dame, will intensify her research on the political turbulence and democratic recovery in Mali. A faculty fellow at the Kellogg Institute for International Studies, Bleck recently won a fellowship from the American Council of Learned Societies (ACLS). From more than 1,000 applications this year, ACLS awarded just 65 fellowships to support research in the humanities and humanistic social sciences. 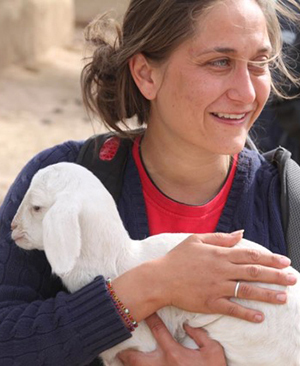 Both awards will allow Bleck to continue her fieldwork in Mali, which began with her senior thesis as an undergraduate 12 years ago. It has evolved into a wide-ranging study of how Malian citizens view and interact with the state and other forms of political authority, including the roles of radio and schooling. Bleck’s book project, Listening to Grinw: Everyday Political Discussions about Mali’s Democratic Recovery, explores citizens’ attitudes toward three policy problems central to Mali’s democratic recovery: democracy and governance, allegiance to the state and other subgroups, and social cohesion. “In nearly every urban neighborhood in Mali, you can find these very informal tea-drinking discussion groups called grinw where people exchange ideas, gossip, rumors, and information,” Bleck said. For the ACLS-supported book project, Bleck will observe grinw in the capital Bamako and in Mopti, the city on the border of state and rebel controlled territory during the occupation. If granted permission from the grinw, she hopes to later run more structured focus groups. With the USAID funding, Bleck will work with economist Philippe LeMay-Boucher, a visiting fellow at the Kellogg Institute last fall, to conduct a large-scale survey of more than 400 grinw and 2,500 grinw members and non-members to understand how they shape political knowledge, attitudes, social trust, and public goods provision. They also plan to employ behavioral games to measure and compare trust of grinw members vs. non-grinw members; grinw members’ trust toward other members; and members’ trust toward out-group members. After writing the survey, Bleck will use ethnographic observations to revise the survey, translate the survey into seven local languages, and make sure that the questions and games are easily understood and measure pertinent factors. While eager to begin the new research, Bleck said she also looked forward to returning to Notre Dame and sharing her work in the field research methods courses she teaches for undergraduate and graduate students in the Department of Political Science. Originally published by Aaron Smith at al.nd.edu on May 15, 2014.